Office Christmas party cannot go without some delicious food. When a colleague brings something like this to the table, it disappears from the plate in a second. Before this happened we managed to grab a camera, set some desk lights and take few tasty shots! When shooting food, you need to make it look tasty, bright and colorful.Even the most delicious dish could be messed up during the photo shooting. Do you want your food to look as good as it tastes? Yes! Here are a few tips on how we did it. Light is everything in food photography. So, grab any light you find. We used simple desk lights to get the brightness we needed. Choose the right angle. For food wigglegrams you can either take snap of the whole plate overhead, or shoot in line with the plate to give it more depth. If you opt for the second, focus on one detail of the dish (parsley in the example). Some of the images were too blurry or too dark for a good 3Dimage. So, we used different adjusting tools. We adjusted the brightness on the images that lacked light. Also, we used contrast balance to make to accentuate those tasty colors. We adjusted the image rotation on some images, to make the 3D effect look more natural. Finally, we chose the rotation point. For some scene, it was best to choose a prominent part (parsley), for others it was better to choose the rotation point on the dish itself. 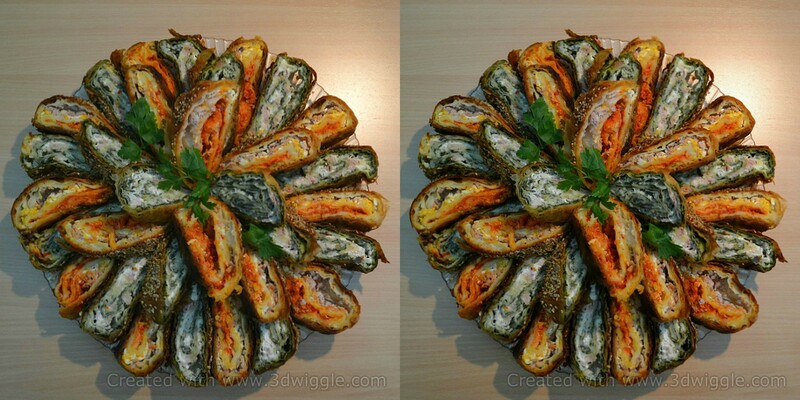 The wiggling effect on food images will enhance the tastiness of any dish. 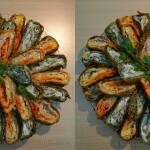 If you are a restaurateur, a cook or a food blogger, food in 3D is the right choice for you. If you are none of these, but enjoy eating, you will definitely enjoy creating 3D images of your favorite bites!